Cachi pronounced KA-KI, are a popular autumn fruit in Italy. In English, they are called Persimmons. Sometimes also written as Kaki, derived from its botanical name Diospyros kaki. Cachi trees are abundant here. From what I understand, the persimmon tree was imported from Asia as a decorative tree in the late 1800’s. The small, white, delicate flowers bloom in late spring. The fruit grows during the summer and later in autumn is mature and ready to eat. If you’re lucky, your neighbor might just have a persimmon tree. 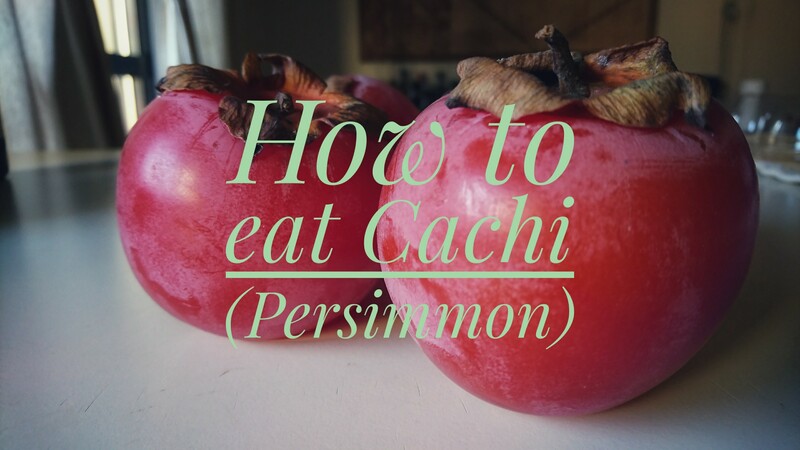 Otherwise, you can find cachi at markets and supermarkets. In Italy, cachi cultivation is found in the region of Emila Romagna, not far from Bologna. The kaki tree is resilient and strong. So strong indeed, that after the bombing of Nagasaki, a kaki tree miraculously survived. The Kaki Tree Project plants kaki trees all over the world from the seedlings of the surviving mother tree as a symbol of peace. Cachi can be red or orange and look like tomatoes. Cachi that are round are sweet, cachi that are long and oval are bitter. A ripe caco is full and feels like a small water balloon. Place in a small dish and using a knife, cut off the top and then scoop out the sweet inside. Or, you can place it in a cup and cut an “X” into the fruit. The jelly-like inside is sweet and fibrous. The taste is unique, but if I had to compare it to something familiar, I would say it’s most like a smooshy apricot. Loaded with vitamin C, Cachi are a great way to boost the immune system before the cold winter months.